While this revolution is gaining wide acceptance, Bitminer Factory, a leading cryptocurrency Mining Operation fed with Renewable Energy and managed by a Team of clean energy and mining experts has arrived. 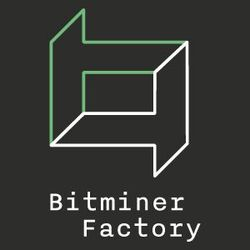 What exactly is BITMINER FACTORY? 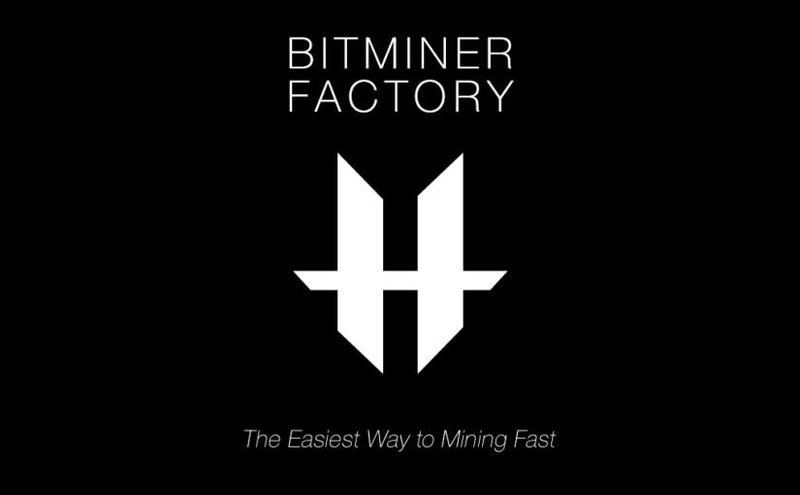 Bitminer Factory is a leading cryptocurrency Mining Operation fed with Renewable Energy and managed by a Team of clean energy and mining experts. By purchase BMF tokens with ETH or BTC you are allowed to use our Mining Assets and Services and accept your part of the cryptos generated by the Mining process. The Bitminer Factory idea did not just come from nowhere today, it has been conceptualized as far back as November 2016. Ever since then, their progress has been huge with their first mining factory which is now unarguably the largest in Italy. It has been completed and fully operational since April this year, after twelve months of hard work and determination. From just a mere notion to follow up the cryptocurrency direction, today they are at the forefront of it leading the way to a sustainable process for mining cryptocurrencies. The aim is to make the Blockchain sustainable, using renewable energy to mine cryptocurrencies while Sharing the benefits with its owners. 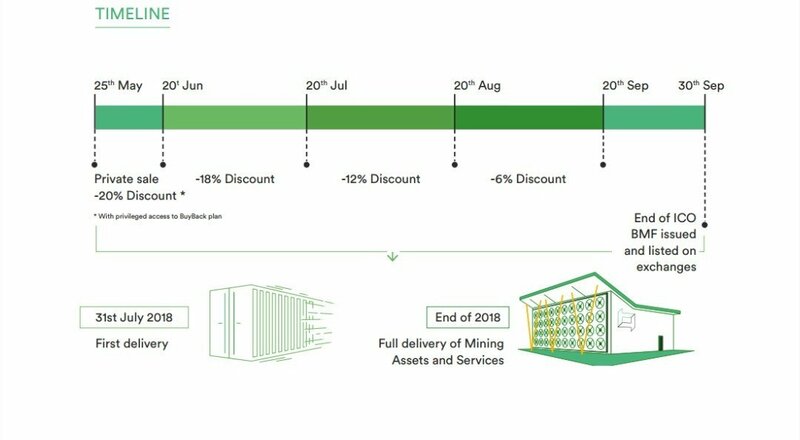 They have put a lot of things in place for very successful mining operations whichever includes the acquisition of 1.2MW electrical infrastructure, 800 P8 Mining Machines, 200 Asic Machines that will definitely help a lot with the mining operations. The consumption of High Energy which has been a constant nightmare for miners, as more of their rewards is been spent in getting the power and energy to mine. If you have ever tried mining then you would know that there is a lot of energy usage involved. The high purchasing cost of this mining tools is quite high and there are not usually easy to set up as setting up might require some level of expertise. Fortunately, Bitminer has taken these challenges into consideration, alongside the fact that solving these challenges is crucial to the continuous growth of the Blockchain and came up with a solution. Users and holders of BMF tokens would be able to benefit via yearly payouts of cryptocurrency as a reward for holding. Users and investors can as well benefit from trading them on exchanges. Also, BMF Tokens would be used to perform transactions on the Bitminer factory platform. Traditional power plants produce electricity by burning extracted, non-renewable sources of minerals. As a result of this combustion, the atmosphere is allocated just tons of polluted air CO2, which ultimately has a very strong impact on the entire ecological situation of our Planet. 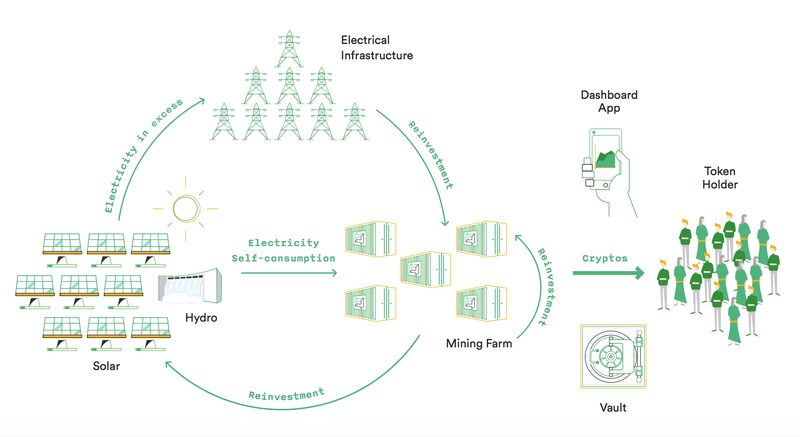 At the same time, these power plants can not guarantee uninterrupted supply of energy for any mining farms, as well as provide them with a low cost. Since the cost of such energy is already high. 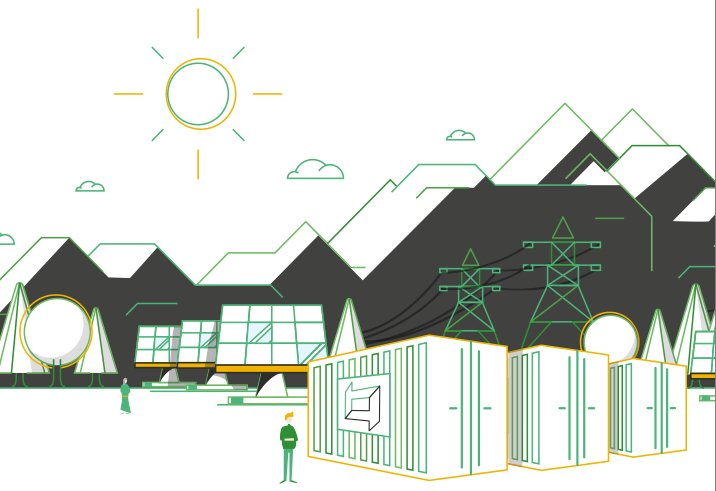 Therefore, in order to carry clean energy to the masses and not to pollute our environment with harmful exhaust gases, as well as to save decently and provide their farms with uninterrupted electricity, the project developers did not hesitate to decide to use only renewable energy sources in their project. At the same time, solar or hydroelectric power stations will also belong to Bitminer Factory. Such an approach would eliminate any intermediaries, thus minimizing all costs. And if they generate excess energy, they will always be able to sell it to local power plants, which in turn will lead to additional income. To make the whole project work clearly, transparently and quickly scaled, the development team used Blockchain technology to implement its project, and also developed its own token (BMF). With the help of which, anyone can buy any of the previously proposed mining farms (Gigapod or MMU). By which he can earn any of the most popular kryptonite. And every year to receive rewards from Bitminer Factory in the form of BMF tokens, which can be easily sold on exchanges and earn additional profit. In General, the advantages of Bitminer Factory over its competitors are rife. How The Bitminer Factory works? Intended are two proprietary housing solution for our equipment, Giga pod, to house up to 5000 units (GPU or ASIC), and Mobile pulling out Unit (MMU), to house up to 300 units. Thanks to CFD (Computational Fluid Dynamics) analysis, we planned ample path to permit air in and out of the Giga pod and of the MMU, while overwhelming just a part of the total energy. A superior filtering organization will allow air to pass, blocking dust or other contaminants, ensuring consistent operations in any environment. - compression Each Mobile Mining Unit (MMU) can house up to 300 units (GPU or ASIC) in a compact footprint, while each Giga pod can house up to 5000 units. Furthermore, the MMUs can be moved inexpensively and fast, as they are base on standard containers. - monitor A opaque net of sensors are entrenched in the Giga pods and in the MMUs, allow our team to check presentation, temperature, power expenditure, and state of each piece of utensils, thus letting us actively stop and recognize any hardware broken. Each machine is accessible easily and rapidly, allowing for prompt preservation when wanted. A complete comfort and clear labels/ pointer permit every operators to right away place the machines that need an intrusion. The token (BMF) is an ERC-20 token based on the ethereum Blockchain. Up to 100 Million BMF is planned to be sold during the ICO which would come with a 20% bonus on each purchase from May 25, 2018 to June 20, 2018. 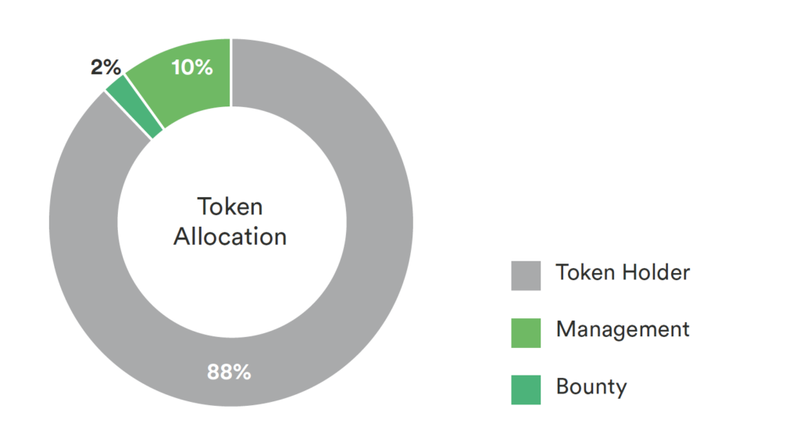 The bonuses will reduce relatively as the ICO stages progress until the Hard-cap Reached. Accepted payment methods include = BTC, ETH, and EURO. 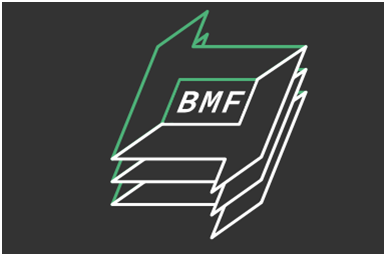 BMF Token Holders may benefit from the mining contract embedded in the BMF Token by Holding It, Trading It or participating in our Buyback Plan. Holders will benefit from yearly payouts in Cryptos that will be proportional to the amount of BMF; each Token Holder has in relation to the overall amount of BMF Tokens in circulation. BMF will be listed on selected Crypto-exchanges as well. He is skilled in multimedia and internet project development. 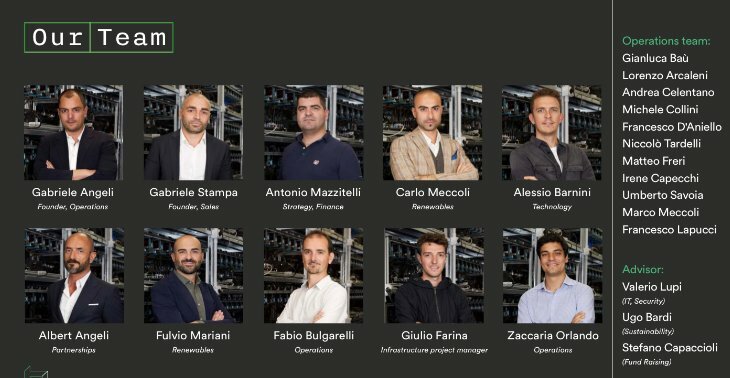 Antonio Mazzitelli joined Gabriele A Gabriele S. and Carlo to help them grow Bit miner Factory by both humanizing the present business and help the start on of this ICO. Alessio Barnini is the Head of Technology.